Keep up with the most recent posts published by online marketing and chatbot experts! 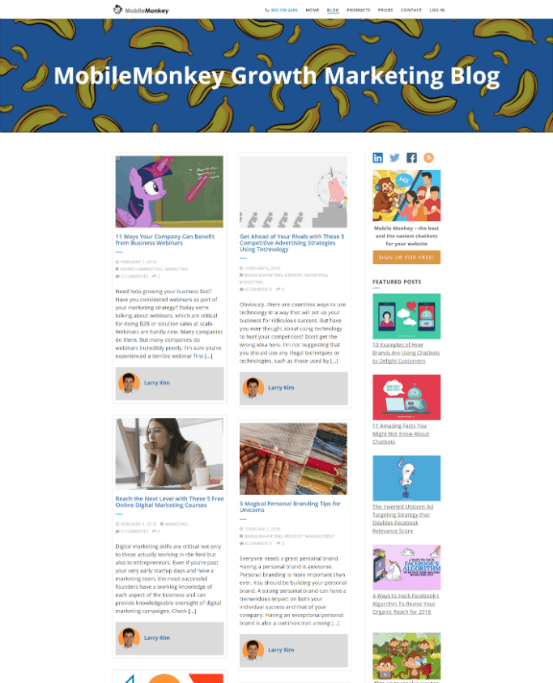 MobileMonkey blog is the place to dig for insider digital marketing tips and industry-related news from the top experts. Everything you need to stay ahead of the curve when it comes to successful search engine optimization, navigating through social media marketing and using chatbots to boost your business. Sign up to receive awesome online marketing content in your inbox for FREE!